Our SMS marketing platform is a tool that helps you easily create, send, and manage your SMS marketing campaigns. 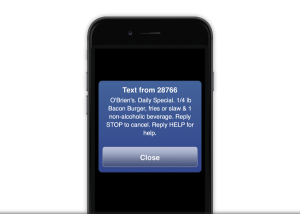 Whether it’s alerts, coupons, contests, or votes, our SMS marketing platform will help ensure that you are reaching your customers with relevant information when it matters most. Deliver your messages on a specific date and time. Create templates for frequently used messages so that you don’t have to create them each time. 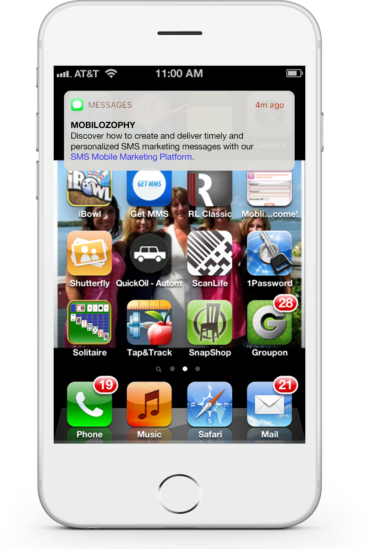 Integrate SMS marketing directly into your existing application or system. Setup messages to be delivered based on a subscriber’s action. Easily add new words and manage those that are active or inactive. Segment your subscriber-base by creating one or lists. See how many total subscriber confirmations, URL clicks or opt-outs a program generated. 95% of the U.S. population owns a mobile device with SMS capability. There’s a minimal investment that you have to make, unlike other marketing channels. Content immediately reaches your subscribers at the precise time you want it to. On average, text messages get read within 4 minutes of delivery. Tailor your content to meet your subscribers specific interests and needs. Know how your program is performing from the number of opt-in subscribers. Ready to discover what our SMS marketing platform can do for you? Schedule a demo with our knowledgeable, friendly experts to discover how this revolutionary marketing tool can grow your business.